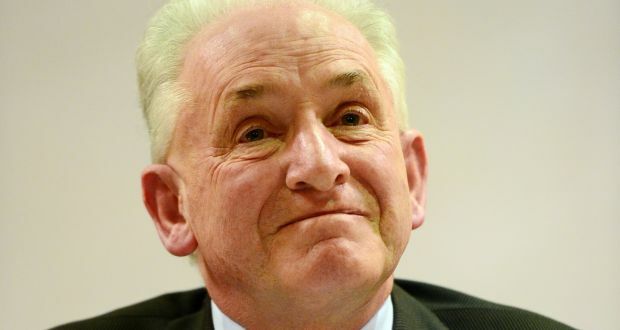 Dissident Irish priest Fr Tony Flannery has said the Catholic Church inIreland is in such “serious crisis” that it may well have gone beyond the point of redemption. Fr Flannery, a Redemptorist priest who was suspended from duties in 2012 by the Holy See, was speaking in Rome on Wednesday at a meeting of WOW (Women’s Ordination Worldwide) in the celebrated House of Women, just down the banks of the Tiber from the Vatican. Fr Flannery’s support for the concept of women priests in the Catholic Church was one of many issues which led to disciplinary sanctions against him. Despite that, he repeated his support for women priests , saying: “We all know that the Church in Ireland is in serious crisis, indeed a lot of people would say at this stage that it has gone beyond the point of redemption. “If you could release the energy of women, it would make a dramatic change. “I’d say for example that a fair number of Redemptorist priests agree with what I say about women priests but they just think that I made the mistake of saying it publicly,” he said. “A lot of them keep their heads down because they don’t want to lose their ministry. “The argument that a woman cannot be a minister of the Eucharist because she cannot be a persona Christi (someone who acts as Jesus and as God), that is such a ridiculous argument. “That argument belongs to the time of the flat earth, when Galileo was persecuted. “It is depressing and sad and disturbing that Pope Francis, a man for whom we have so much hope, seems to have that dreadful attitude (towards women priests)”. Fr Flannery said parishoners “have moved light years ahead of the bishops in attitude”, which makes it difficult to maintain a dialogue with an ecclesiastical authority that is out of touch. He said that within the church reform movement, people were warned “not to talk about the ordination of women”, because that was too “radical”. Even though he conceded Pope Francis remains doctrinally conservative, he said he is “still quite hopeful” about the reform movement. “The Catholic priesthood as we have known it, this male celibate thing, is gone,” he said. “So while all of that is happening, it gives me hope for real, real change. I certainly won’t live to see it...if it bears fruit in one hundred years’ time, it will have been worth doing.